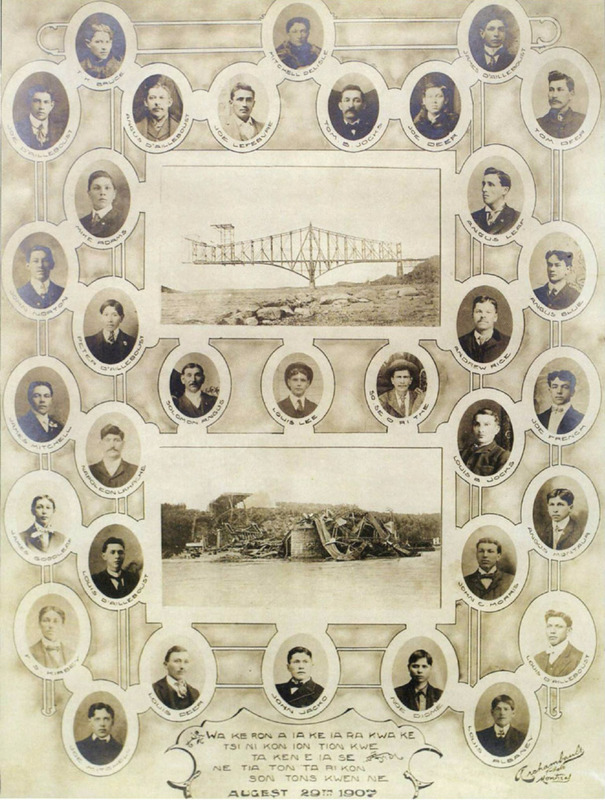 A collage of photographs of the 33 Kahnawake Mohawk who lost their lives during the Quebec Bridge collapse, produced by Archambault photo studio in Montreal. Translated from Mohawk, the tribute at the bottom says: "In memory of all the persons who gave up their lives when the bridge collapsed." 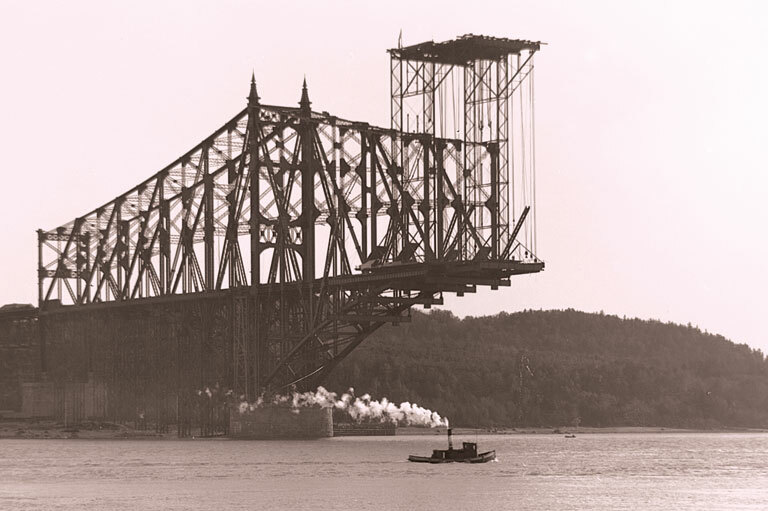 The south span of Quebec Bridge before its collapse on August 29, 1907. 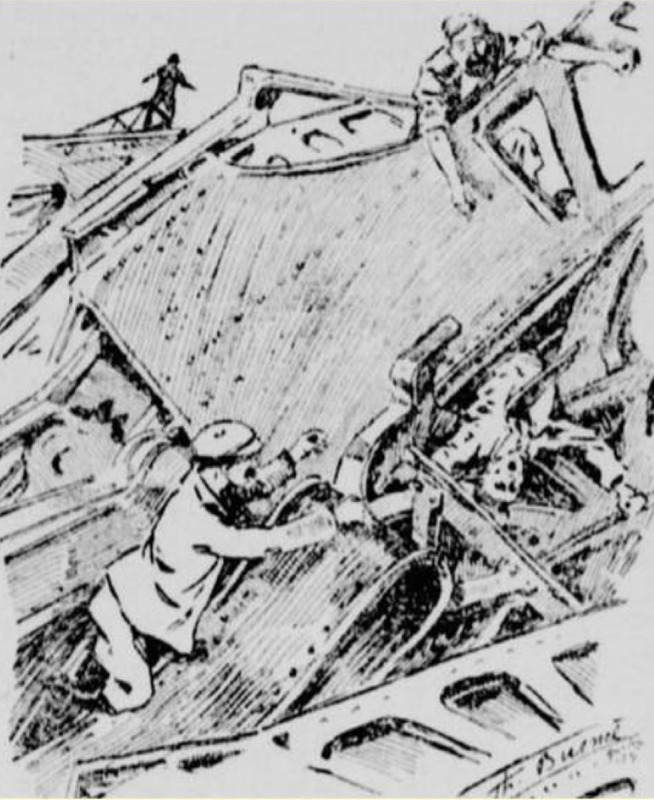 A drawing from the front page of the Sept. 3, 1907 edition of La Prairie illustrating the difficulty searching for the dead amid the rubble after the Quebec Bridge collapse. 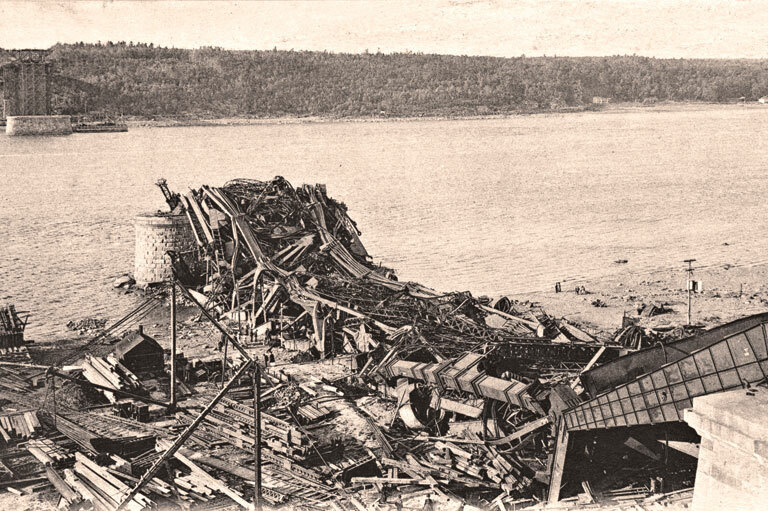 Quebec Bridge, after the collapse. The sound of 19,000 tons of steel crashing to the water below resounded as far as Quebec City, 10 kilometres away. Susan Goldberg is the author of several books, including Snatched! The Peculiar Kidnapping of Beer Tycoon John Labatt, published by Dundurn Press.